Lexus IS Forum > Owner's Forums > IS350 Owner's Forum > Can I fix this damage on my bumper? 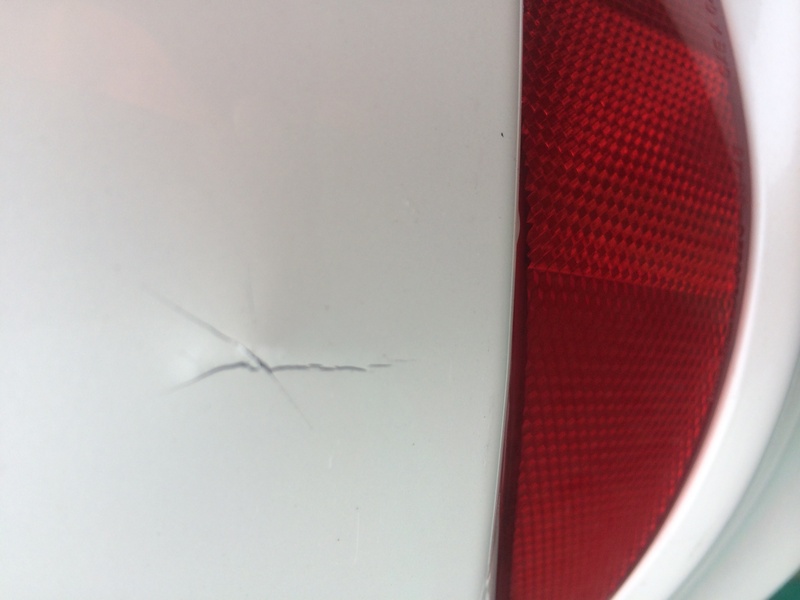 Can I fix this damage on my bumper? Someone hit my bumper and fled. Does this require a new bumper? Thanks! You can melt it back together from the back, then grind and fill the cracks from the front. Yes, the body shop can patch it up nice and dandy without having to replace the whole bumper which costs an arm and leg. In the meantime, I have a few chips about the size of 1~ 1.5 mm where the paint got knocked out on the hood. Can this be patched up and polished by body shop without having to paint the whole thing? Ideas? In the meantime, I have a few chips about the size of 1~ 1.5 mm where the paint got knocked out on the hood. Can this be patched up and polished by body shop without having to paint the whole thing? Yes, of course, if you can get a body shop to do that. Invariably they don't want to do just that, they'd rather replace the whole hood and paint the new one. You can just flow in some touch-up paint and use clear nail polish to fill the chip up to the surface of the rest of the paint, buff it out, you'll hardly ever know it was there. « How much should I get charged for an oil change at Lex dealer? | Curb Alert - Protect the lower front bumper?